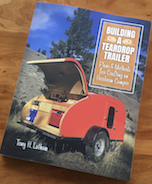 Teardrops n Tiny Travel Trailers • View topic - 5' Baltic Birch? Baltic birch - this is not a specific type of birch, common name plywood manufactured in Russia and nearby Baltic countries (eg Finland). As with any product made of wood, the quality can be variable. However, Baltic birch plywood, usually regarded as higher quality compared to standard birch plywood. Thought I would add. Pekin Hardwoods(Central Illinois) keeps it in stock. has 1/8in also. My one lumberyard town stocks 1/2" and 3/4" BB. They special order the 1/4" for me. 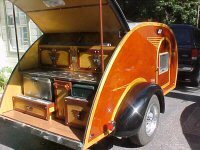 Any cabinet shop should be able to order it for you. In Western Canada we get Baltic Birch in 1/4,5/8/ and 3/4 inch thicknesses in both 4x8 and 5x5 foot sizes from a company called Windsor Plywood. This is a stock item for them. Have fingers crossed for when I start looking for it here in New Mexico.